Coffee machine reviews - Which? 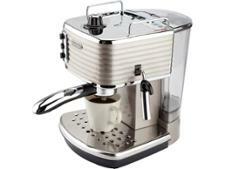 How to buy the best coffee machineNespresso, Tassimo or Dolce Gusto? Which? coffee machine reviews are based on our independent lab tests. We taste test and compare capsule, bean-to-cup, and ground coffee machines with our in-depth reviews. Use our guide to find your perfect coffee machine.